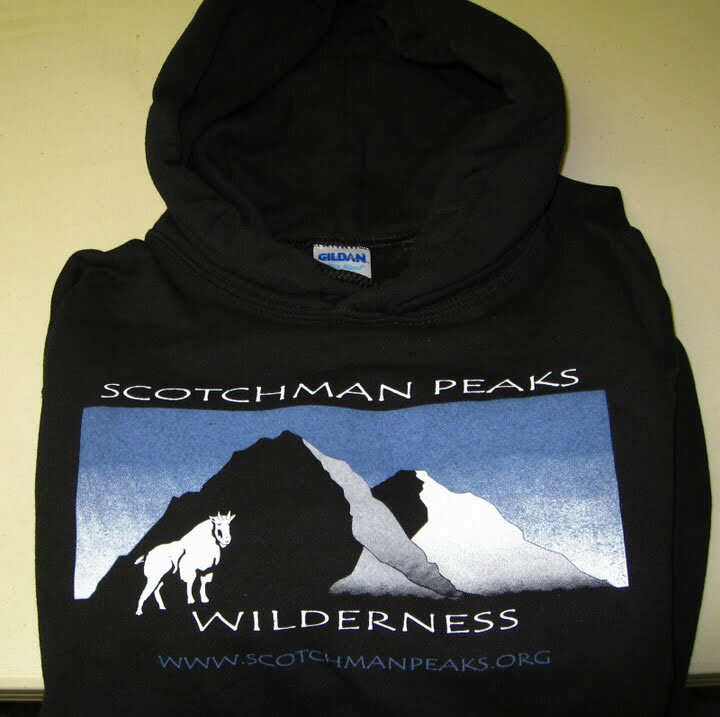 Your purchase of any of the merchandise below benefits the Scotchman Peaks Wilderness Area and our continuing efforts to keep this scenic roadless area free of development so that it can be enjoyed by all for generations to come. Love to read? 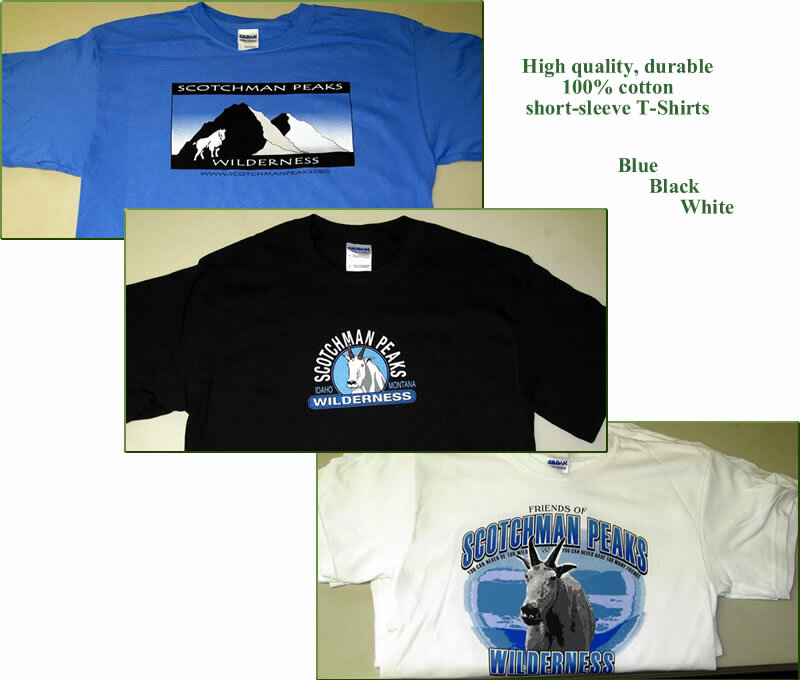 Enjoy your pastime while helping our cause. 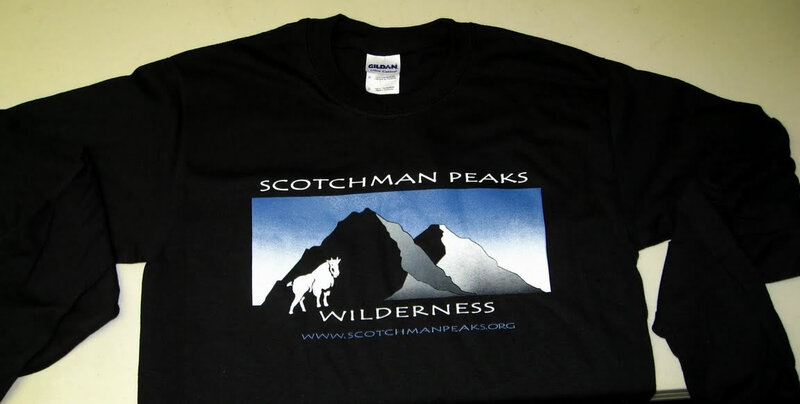 A portion of sales of these wonderful books go to benefit the Friends Of Scotchman Peaks Wilderness. Price: $6.95 Jason’s Passage opens with the love story of Caleb and Sarah, who come to the Clark Fork valley in 1913, at a time when travel was by horseback or wagon and settlers eked a living from the land. Two generations later, Alex Blascomb pursues his own love in a struggle to recapture the heart of his ex-wife Elizabeth. Price: Currently out of print. This guide is very user-friendly, with detailed maps and directions … It reads like good advice from a well-informed friend,” said the Pacific Northwest Inlander of Spokane, Wash. (July 10, 1993). 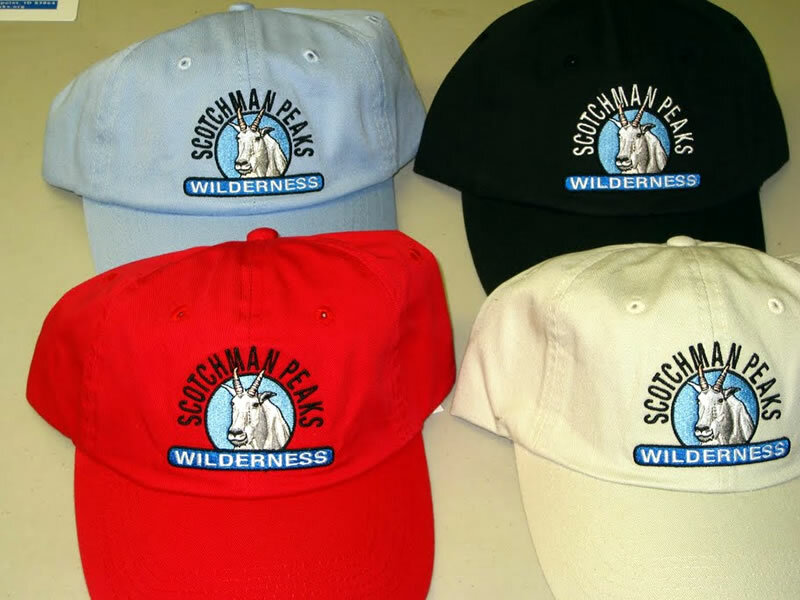 “A nearby wilderness is a little tamer … the descriptions are ripe with the authority of having been there on foot,” wrote Rich Landers of the Spokane Spokesman-Review (July 13, 2003). 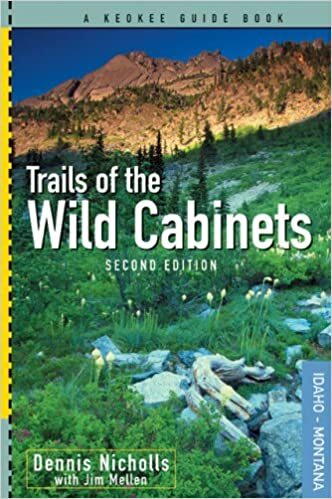 Price: $19.50 Now updated as a second edition, Trails of the Wild Selkirks: South of the Canadian Border focuses on the portion of this spectacular range that spans northeastern Washington and northern Idaho, before it stretches far into Canada. 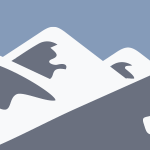 This book focuses on the American portion of the range, an area that holds a fantastic variety of landscapes from lush rain forests to dry grasslands to the cirques and granite of its high peaks. These wonderful wildlands also remain home to wildlife found almost nowhere else in the lower United States, including grizzly, woodland caribou, lynx and wolves. Nicholls provides an absorbing natural history for the range, along with several essays drawn from his own adventures wandering the Selkirks. 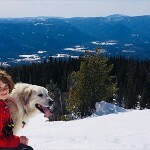 Whether you’re a Sandpoint visitor or long-time resident, Trails of the Wild Selkirks will help you explore and appreciate Sandpoint’s back-door wildlands. Price: $24.00 Sprawling 43 miles long with 111 miles of shoreline, Idaho’s largest natural lake is truly awe-inspiring. At more than 1,100 feet deep, it’s the fifth-deepest lake in the nation. During the last ice age, it was the nexus of the most cataclysmic floods ever to scour the planet. For the native Kalispel Indians, it was the cradle of creation. It was the site of the first trading post in Idaho, built in 1809 by voyageur David Thompson. The lake has also yielded the world-record Kamloops trout. Add the lake’s spectacular setting amid three major ranges of the Rocky Mountains, and it’s no wonder Lake Pend Oreille inspires such awe. This book captures the lake’s incredible features and includes comprehensive guides. Give your family, friends, and others a unique gift that will keep on giving for generations to come! What better way can there be to show you care than to ensure that your recipients will have the right and ability to enjoy America’s public lands? 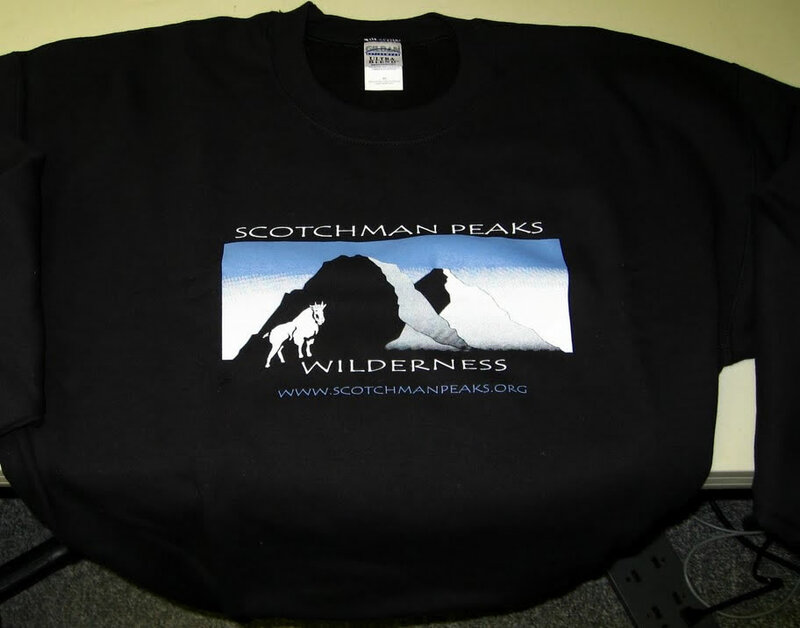 Wilderness is the gift that keeps on giving! 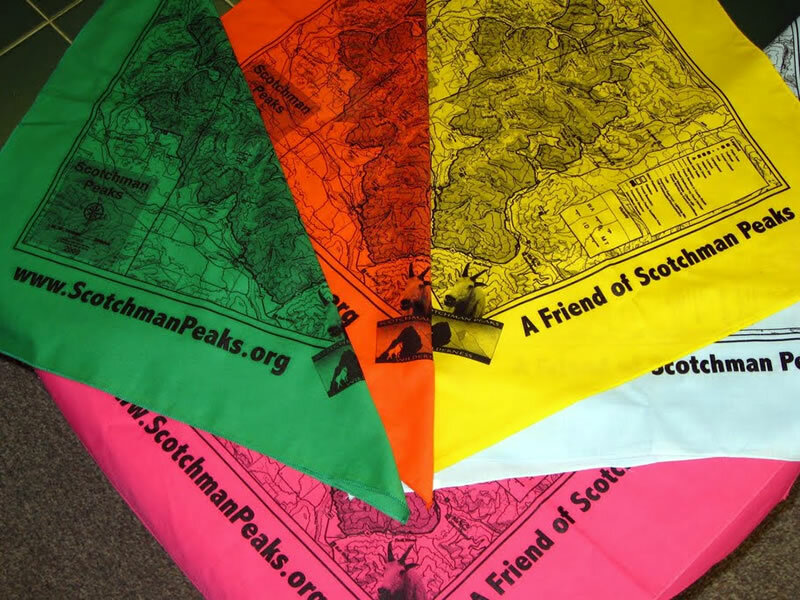 Send your check, in any amount, to the Friends of Scotchman Peaks Wilderness now to take advantage of a deduction on your taxes! You can also click here to donate online! Please note that these are PDF files that will either download to your computer or open in a new browser window, depending on your settings. If you need the free Adobe Acrobat Reader to open these PDFs, you can download it here.